Whether you adhere to a plant-based diet or an omnivorous one, you probably know the importance of a protein-packed breakfast. By starting your day with a dose of protein, you give yourself a sustainable source of energy that will last you through lunch. To that end, you won’t start feeling peckish for hours — or even minutes — after your first meal. Protein makes us feel fuller for longer, too. Fibre should also be a part of your early-morning meal, as it aids in the digestive process. Vegetables are a great source of fibre, and they pair perfectly with some of the morning’s best protein choices. 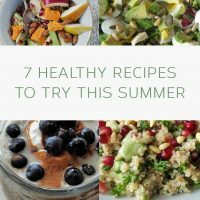 Now, all you need is a little inspiration for your veggie protein breakfasts — so here are seven recipe ideas. Made from soy milk, tofu has a slew of health benefits aside from the fact that it’s packed with protein. For instance, tofu contains all of the amino acids, which aid in everything from mental stabilisation to protein synthesis. So start your day with a scramble of firm tofu flavoured with turmeric, garlic and either cheese or nutritional yeast, if you prefer a vegan option. To fill out the wraps, you can sauté your leafy green of choice, plus onions and mushrooms. You can even freeze some of the finished sandwiches for a “grab, heat and go” breakfast that’s got everything you want. Not all protein-packed breakfasts have to be savoury. These sweet potato cookies prove that point and, better yet, they give you an excuse to eat cookies for breakfast. Depending on the size of cookie you make, you’ll get more protein per confection, too. Eight larger cookies will have eight grams each, while a dozen of these will carry six grams a piece. With mashed sweet potatoes as your base, you’ll add in the protein-rich nut butter of your choice. 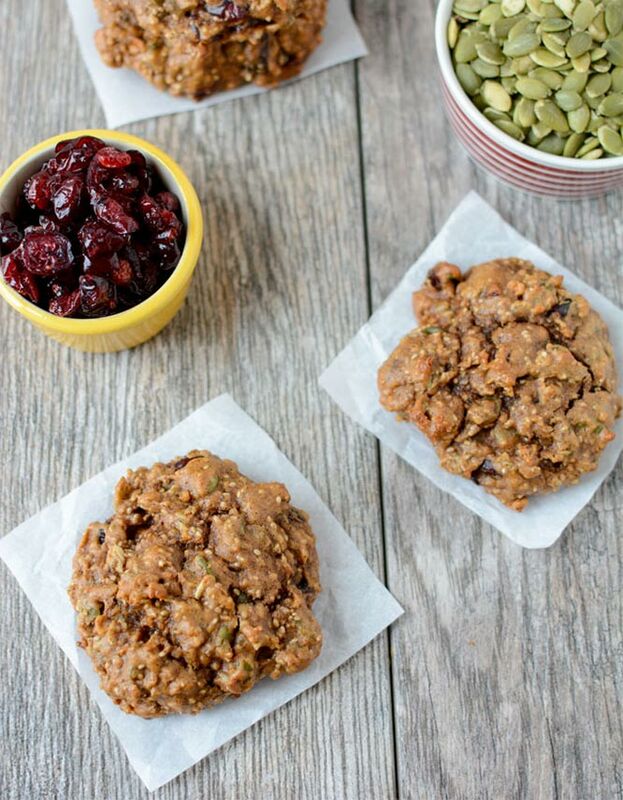 Chia and pumpkin seeds, as well as eggs, add a bit more protein, and dried cranberries and maple syrup ensure these breakfast cookies are just sweet enough. The success of this recipe hinges on your ability to whip up a fluffy batch of quinoa. Fortunately, it’s simpler than it seems — it actually cooks in the same way as rice. Always rinse your quinoa before cooking it, though, as the grain has a natural coating called “saponin” that can make it taste soapy. Boxed quinoa usually comes pre-washed, but a second rinse never hurts. Atop your base of perfectly cooked quinoa, you’ll pour stir-fried veggies — bell peppers, mushrooms, onion and kale leaves — as well as two eggs cooked however you like. You can add a drizzle of sriracha, too, should your breakfast need a bit of spice. A smoothie is a great place to sneak in a serving of morning veggies. Traditional fruity flavours can mask the presence of milder greens, such as spinach and swiss chard. Of course, you’ll still know they’re there by the colour of your beverage. 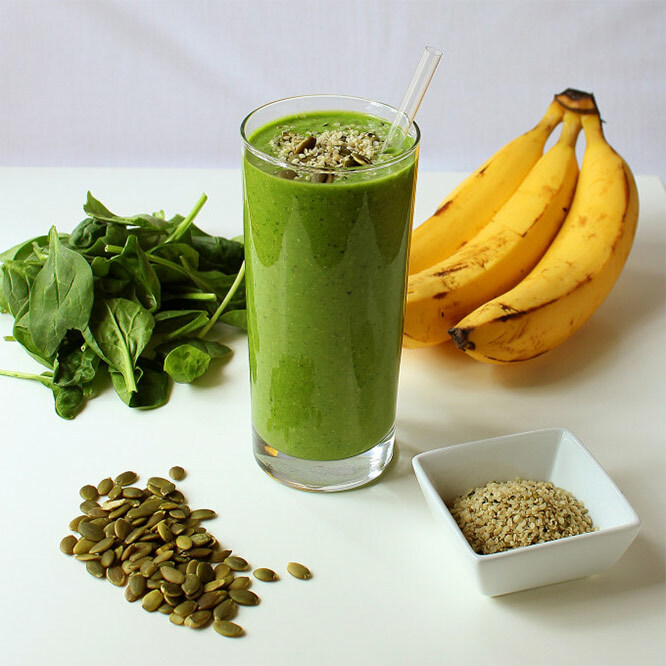 This smoothie beverage contains two handfuls of spinach and enough banana and mango to hide it fruitily. You’ll get a hearty helping of protein from hemp hearts and pumpkin seeds, and the recipe’s creators add the option of an additional scoop of protein powder, should you need a little more. 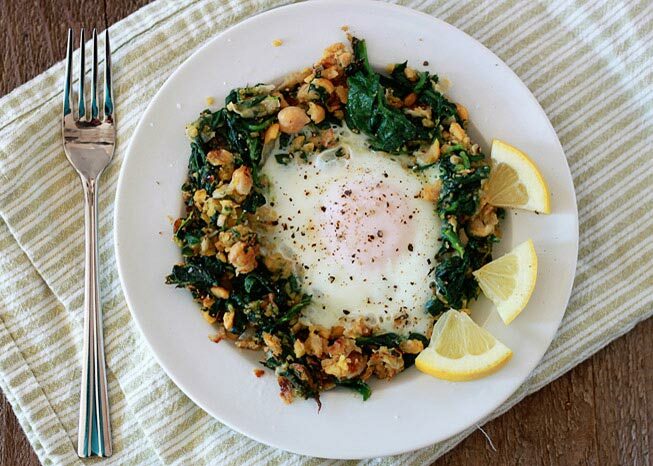 An easy way to incorporate vegetables into your breakfast? Grabbing last night’s leftovers, heating them and turning them into a savoury hash. 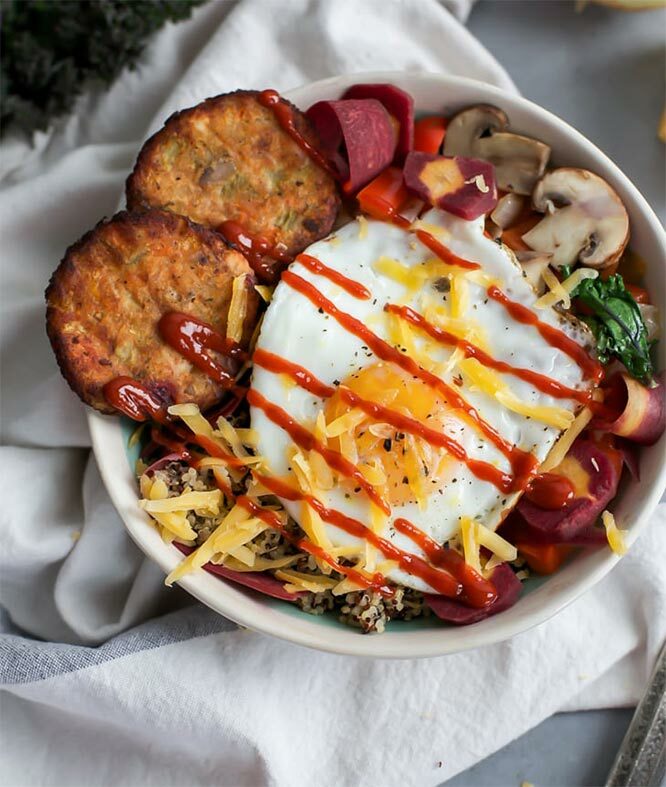 In some cases, you’ll want to top your veggie creation with eggs, tofu or another protein-rich option to give you the energy and fullness you crave. But this one’s got white beans baked in, making it a balanced meal as soon as it’s finished cooking on the stove-top. Of course, you can make a veggie hash with fresh ingredients, too. This recipe calls for flavourful bell peppers and leeks to pair with hearty sweet potatoes, white beans and kale. Minced rosemary and garlic tie it all together. Not all smoothies are created for cups. This purple beauty contains antioxidant-rich raspberries and beets, which help purify the blood, fortify the immune system and boost energy. 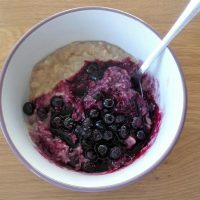 Not bad for a breakfast bowl! It’s easy to whip up this smoothie, too. You’ll pop everything into a blender — beets, flax seeds, raspberries, lime juice, banana, protein powder and almond milk — and pour the resulting mixture into a bowl. You can top your breakfast with dried coconut, slivered almonds, banana slices, or whatever else you like. 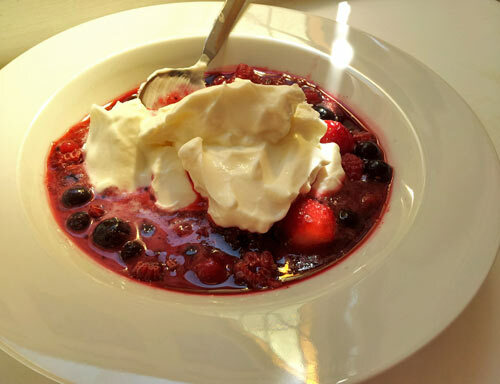 Just make sure you take a picture and post it on Instagram, because this breakfast is beautiful! Finally, this veggie-protein breakfast takes just five minutes to whip up — and you only need one pan to cook it. Who doesn’t love easy clean-up? You’ll start by sauteeing two cups of baby spinach. Then, you’ll add and simultaneously smash some chickpeas into the pan, along with some citrusy lemon zest. Once that’s cooked, shape it all into a spinach wreath, leaving a hole in the middle where you’ll crack an egg. With your yolk heated to perfection, slide the nest onto a plate and dig in. 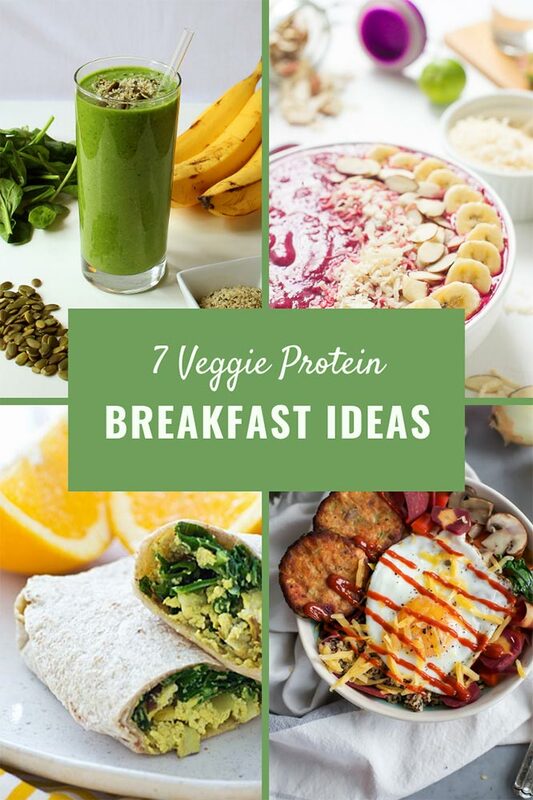 These are only seven of the many ways to incorporate both vegetables and protein into your breakfast. Many people find that starting the day on the right foot with hearty, nutritious foods inspires them to continue to make healthy decisions as the day goes on, too. So get started early and let your body reap the rewards of a balanced, delicious diet — beginning with a veggie protein breakfast! 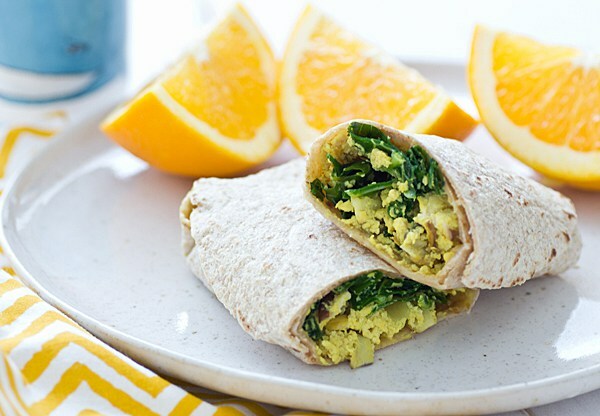 Tofu Scramble Wraps is my favorite here. I can’t wait to try it! Thanks for sharing!